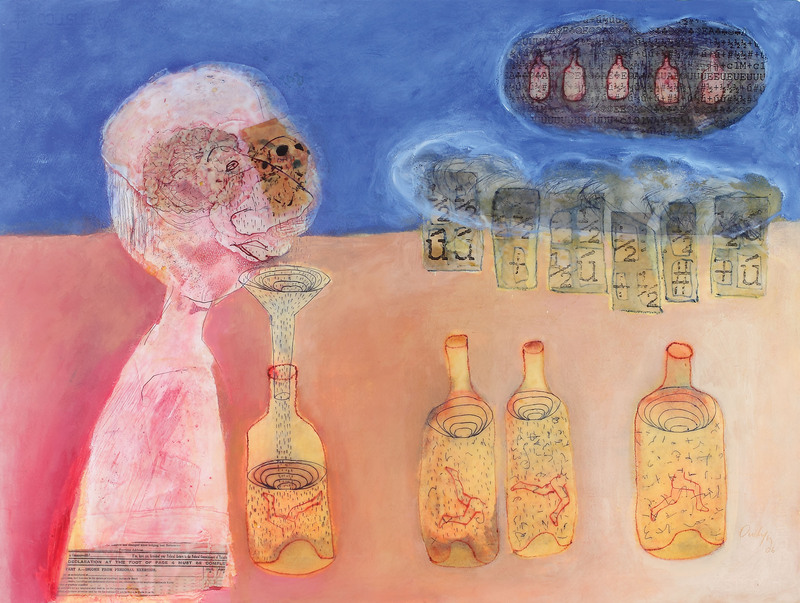 Image: Jack Oudyn, Tear juice 2006, collage, etched wax, shellac, water soluble oil paint and inks on Arches paper. Redland Art Gallery Collection. Acquired in 2006 with Redland Art Gallery Acquisition Funds. Courtesy of the artist. Photography by Carl Warner.